President Barack Obama foolishly backed himself into a corner during the growing Syrian crisis by issuing fatwas about mythological red lines. When his bluff got called, the silver-tongued president was left twisting in the wind. In fact, Obama, who rudely snubbed former KGB agent Putin recently, owes Russia’s leader a “Bolshi Spaseba”(big thanks) for pulling his bacon out of the fire in Syria. Putin brilliantly demonstrated to the world the difference between diplomacy and force, the rapier versus the cudgel. True enough, but diplomacy is the essential lubricant of international relations. Ever since the Bush administration, America’s foreign relations have become militarized and run by the Pentagon while the State Department has been eclipsed. America has become addicted to small wars and debt. The frequent threats and bombast by former Secretary of State Hillary Clinton – ie to “vaporizing Iran” if it dared attack Israel – have been seamlessly continued by John Kerry’s fulminations against Syria. Clinton and Kerry both have 2016 presidential ambitions and are playing to key potential donors. It is also painful and disturbing watching Obama and Kerry deliver impassioned orations about poor little Syrian babies gassed by the wicked Bashar Assad, a former eye specialist who would probably prefer to be living in London. What about all those babies killed in Afghanistan and Iraq? What about those killer drone strikes in Afghanistan, Pakistan, Yemen and Somalia? Enough, please, with the synthetic moral outrage over Syrian babies or ludicrous claims Syria was threatening the US. Remember the phony Kuwaiti babies dreamed up by a Washington PR agency? Egypt’s US-armed and financed Army just shot down over 1,500 civilian protesters. Americans are rightly fed up with past crusades and increasingly disillusioned by President Obama and the tame US media. His indecisiveness and lack of a clear strategy have made him singularly unpopular. Nor is there any clamor for war against Syria in Britain and France, whose governments are trying to divert attention from economic woes by bashing the Syrians. As the crisis mounted, we heard increased patriotic guff about “American exceptionalism,” a code phrase for American proto-fascism, for “Amerika Uber Alles.” Scary stuff. 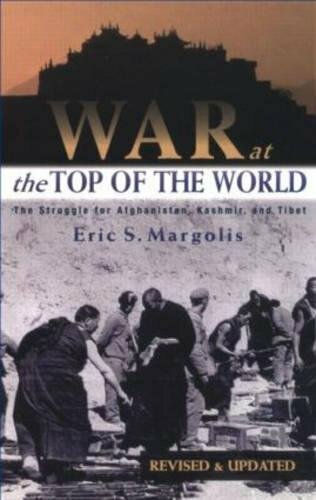 President Putin warned about this in an incisive analysis of the Syrian crisis in the New York War at the Top of the ... Eric Margolis Best Price: $1.45 Buy New $3.57 (as of 09:15 EDT - Details) Times. The US Congress also owes big thanks to President Putin. Had he not short circuited Obama’s foolish war plans for Syria, Congress would have been caught between anti-war Americans and major cash donors from special interests who are lusting for war. The sensible resolution of the Syrian chemical weapons crisis – a manufactured crisis if I ever saw one – raises new questions. What happened to the planned Syria peace conference in Geneva? The real question is ending this awful war, not chemical weapons. Next questions: why did Syria (and Egypt) acquire chemical weapons? 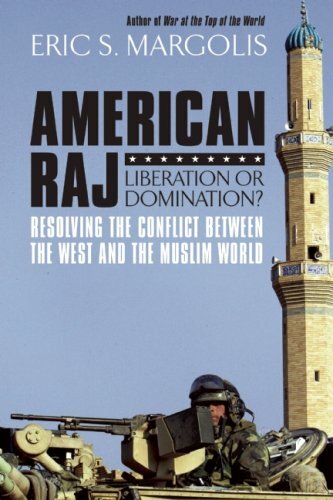 The answer is as a poor man’s counter to Israel’s large nuclear and chemical arsenal. If Iran ever decided to make nuclear weapons, it will be for the same reason. So why not revive talks proposed by the Arabs and Iran for a nuclear-free Mideast that were repeatedly brushed aside by the US and Israel? Finally, what about a Palestinian state? Much of the uproar over Iran and Syria was designed to divert attention away from this essential subject, the essential element of Mideast peace. Meanwhile, Vlad Putin and his very able foreign minister, Sergey Lavrov, deserve kudos for their patient diplomacy and acute timing. By the way, the idea of removing Syria’s chemical weapons did not come from an off-hand remark by John Kerry. It originated in Moscow. So in what could have been a second Cuban missile crisis, Putin and Lavrov get A+. Obama and his angry advisors get an F- and orders to get intense tutoring in diplomacy. President Putin has just forced the US to begin treating Russia with the dignity and importance that it deserves as a nuclear great power instead of dismissing it as a third-rate blini-republic.